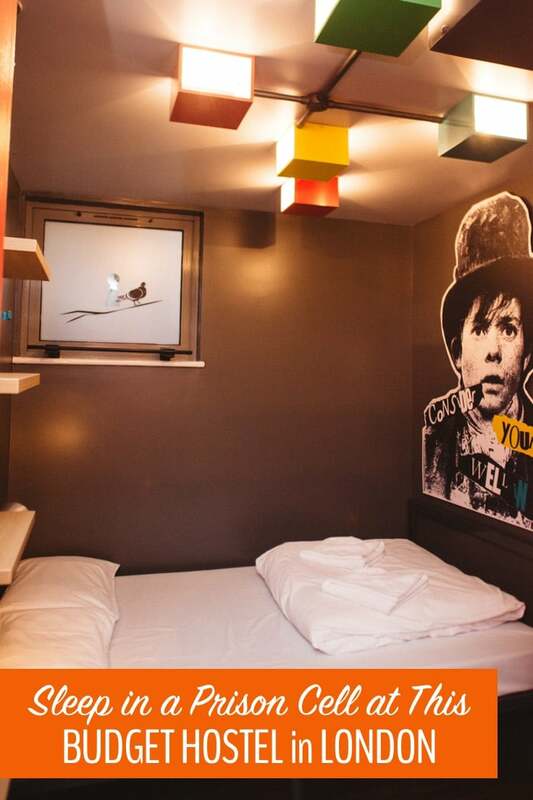 Looking for a budget hostel in London? 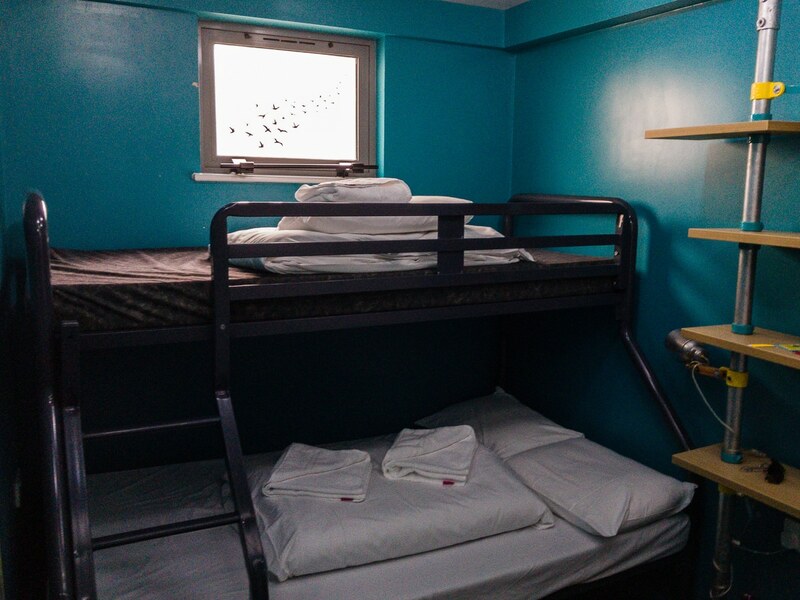 At Clink78 you get comfy beds, friendly staff and lots of great common areas to make you feel at home. 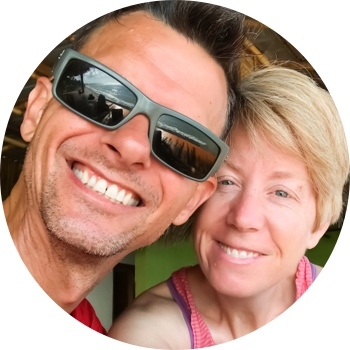 Read on for our full review! Unless you’re from Tokyo, the prices in London are bound to make your eyes water, especially when it comes to finding a place to sleep. 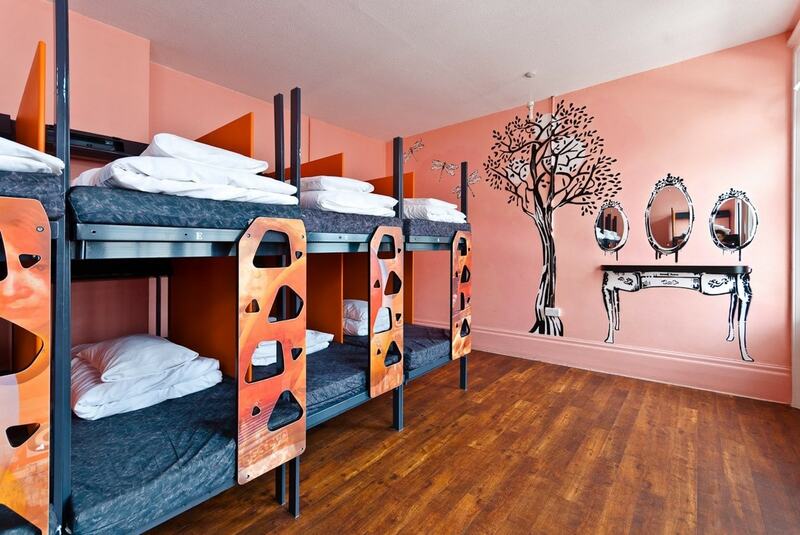 Enter Clink78, a friendly and homey budget hostel in London. 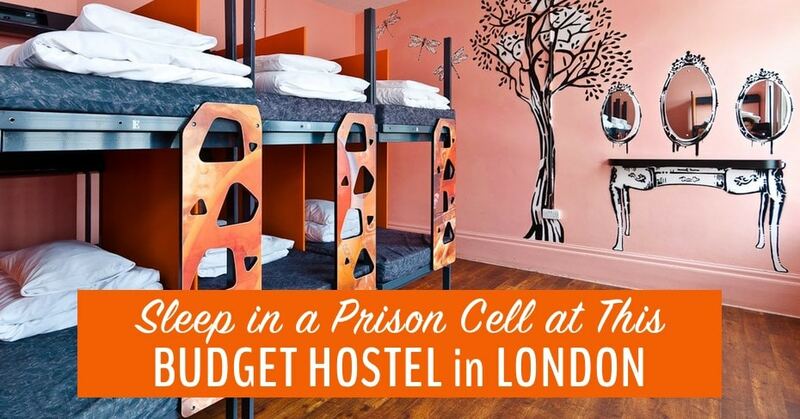 Built inside an old courthouse (hence the name Clink, which is slang for “prison”), the hostel is atmospheric and quirky — you can even sleep in a prison cell at this budget hostel in London. 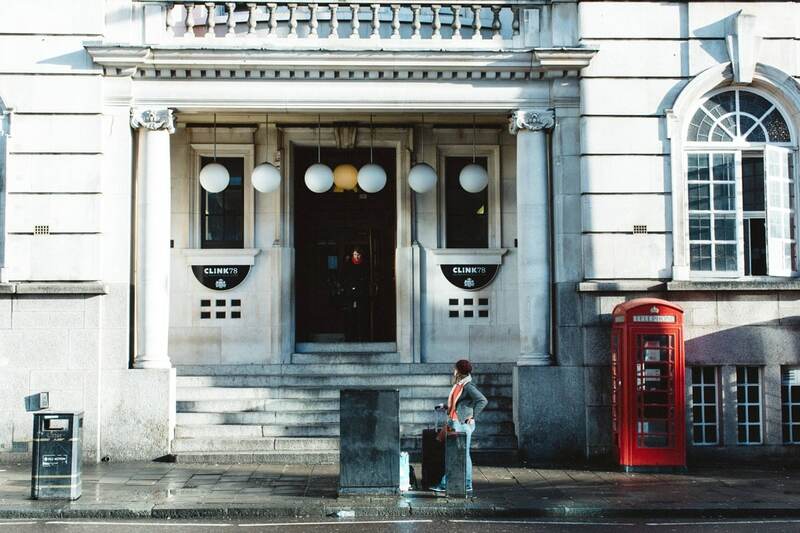 At Clink78 you can sleep inside an historic courthouse in London. About 10 minutes’ walk from King’s Cross, Clink78 couldn’t be more conveniently located for connections inside London or to the rest of Britain and Europe. For walkers, it’s about 30 minutes to London’s hip Shoreditch neighbourhood or to Central London. Better yet, hop on a public Santander bike — the most satisfying way to get around London. Extremely friendly staff. Every staff member at the hostel, all the way down the line, had a winning smile and an efficient but friendly manner. Easy access to London and beyond. From King’s Cross, the nearest tube station, you can go almost anywhere interesting in London without changing trains. Or, hop on Bus 205 for a direct link to London’s hip East End. King’s Cross is also the departure point for Eurostar and other trains to the rest of Europe. Comfy beds. In my private room at Clink78 the bed was super-comfortable and, despite the metal bunkbed construction, didn’t sway or creak. My private triple room at Clink78. Historic building. The Clink78 building used to be an old courthouse, so the entryway and common areas on the first floor are filled with character and steeped in history. Girls-only dorms. Personally, I hate the trend towards mixed dorm rooms. 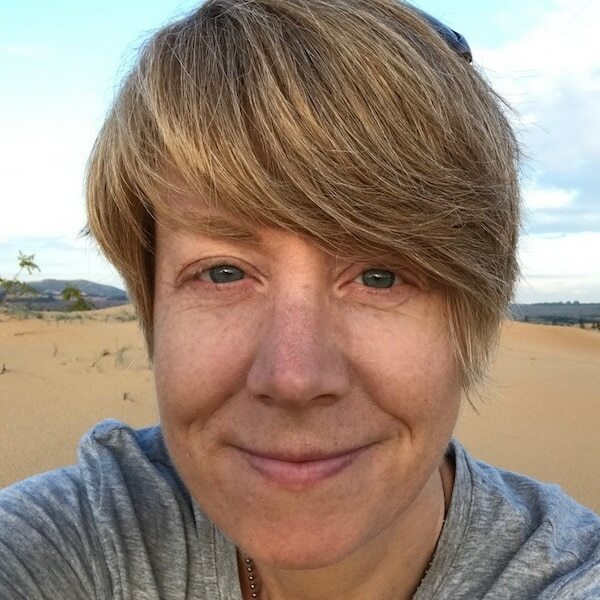 When I’m travelling on my own, I prefer female-only dorms (boys are dirty, noisy, and smelly!) so I’m glad to see that Clink78 still has a few female dorms on offer. Cute stencils on the wall of a dorm room at Clink78. Fully equipped kitchen. The huge kitchen at Clink78 is the perfect place to cook up a storm and share it with fellow hostellers — if you can resist the great budget eats in London. The clean and welcoming kitchen in Clink78’s basement. Breakfast for a pound. I assumed that since breakfast was not included in the price, it was going to be outrageously expensive. But no, for only £1 you get a huge selection of fresh breakfast items! Dirty shared toilets. The shared toilet I used on my arrival was very dirty — I was extremely happy I got to have my own private bathroom during my stay. Noisy doors and neighbours. The room doors are big, solid, and unfortunately close with a resounding bang. No big deal during the day; big deal late at night and early in the morning when people are coming and going. I didn’t sleep well, even with earplugs. Excessive towel fee. 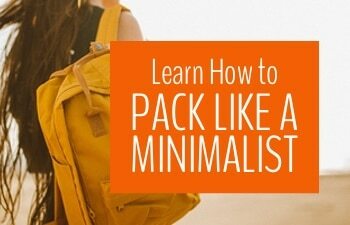 Since I pack light, I don’t carry a towel. It always bugs me when hostels charge any towel fee, but the Clink78 fee of £2.50 is way out there (hostels usually charge $1 or €1)! Note that towels are provided for free in private rooms. Movie room. Since a typical trip to London usually involves late, drunken nights and cold, rainy days, Clink78’s movie room, inside an old courtroom, is a nice bonus. Ask the staff to start a movie and sink into a comfy chair for a dozy day. A bar you’d actually want to drink in. 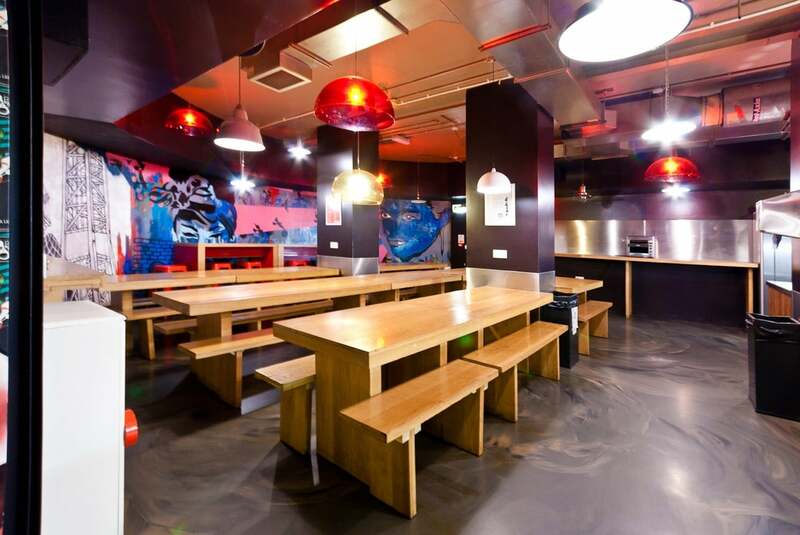 Lots of hostels have bars but the big difference at Clink78 is that their bar is a place you’d actually want to hang out in. It’s a clean and comfy space with great music and friendly bar staff. Plus, they have their own Clink-branded beer on tap — and you get a free 1/2 pint on check-in. Pizza Union. Wood-fired thin-crust pizzas starting at £3.95. Open-late for post-pub nosh. Mildred’s. One of London’s longest-standing and best vegetarian restaurants. The perfect stop for vegans, vegetarians, and people who like great food. 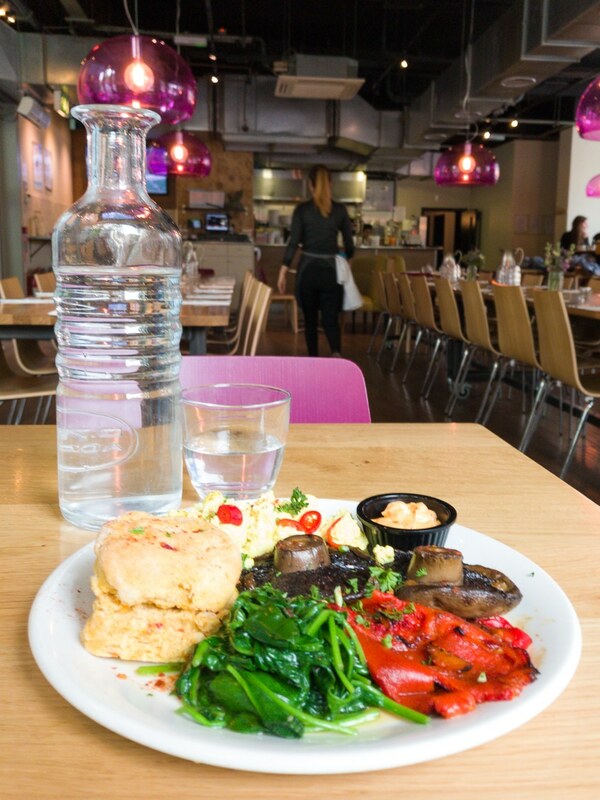 Vegan brunch at Mildred’s, just a few minutes from Clink78. Honest Burgers. Tasty gourmet burgers featuring British meat and produce. There’s a veggie fritter burger, too. Foodilic. Fresh, healthy, organic, vegan and vegetarian options… all delicious. The Water Rats. This long-standing music venue has hosted famous names such as Bob Dylan, The Pogues, Oasis, Katy Perry and The Lollies (yep, that’s my old band). Still a great place to catch the flavour of the week or to just down a few pints. King Charles I. A typical London local with rare ales and a great selection of whiskies. *Partnership disclaimer: I was a guest of Clink78 for my stay but my opinions are all my own.